Protective style with my own hair. I have to learn how to cornrow this year. Seriously! Pre-poo before every wash whether overnight or with hooded dryer. When I get the dryer, I’ll pre-poo with it and do the overnight deep conditioning. Roller set or flexi rod instead of air drying more. I get very smooth hair when I roller set so I’ll stick to that when I purchase the hooded dryer. Satin scarf EVERY night. I do use the satin scarf but not diligently so I’ll do my best to be consistent with it. Either deep condition twice a week or co-wash and deep condition once a week. Since I plan on continuing with the Dark n Lovely instant deep conditioners. I may use that as a co-wash and do a full wash once a week. What I mean is that you can leave it on for just 2 minutes as a normal conditioner or leave it on for 7 minutes for deep conditioning. 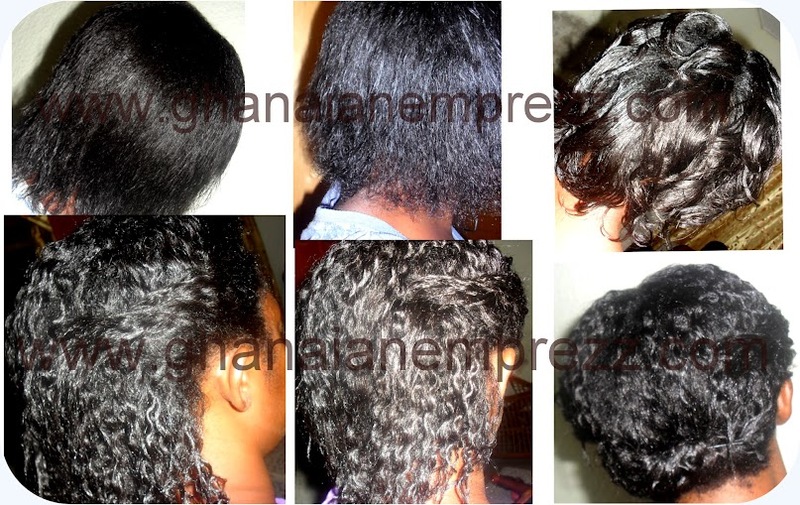 Add oils deep conditioner, which has proven very effective. Relax at most 3 times in the year. I believe my 12 weeks stretches went pretty well so I can go for an additional 4 weeks but if this doesn’t work, I’ll stick to the 12. Reduce my use of products with protein. As you can see form the previous post, most of my products are protein based and I’d prefer to balance it with moisturizing ones. Be more active on all my pages ie fb, twitter, pinterest and google plus so I can socialize better with you all!! Length Goals: Make it to at least APL by the end of the year! The business of hair care doesn't require perfection and I appreciate myself for all the efforts I've put into getting my hair to this level. I already have products I love but I want to try other ones. Since I won't repurchase my current shampoo and will also stick to pre-poos, I have my eyes on a few ones. I do have a cheapie conditioner for co-washing but it won't hurt to have any of these. I'll stick to my current light protein deep conditioner but I want one I can use on relaxer days. Am tempted to purchase all these deep conditioners since I want more moisture now.lol but I know I can't all of them so I'll purchase them one at a time.